In previous posts, I wrote about monastic chant, how it’s different from traditional music in both rhythm and melody. It’s almost mystical in modality and polyrhythm – yet also in its simplicity. In chant there is no point and counterpoint; there are no harmonies. There is one melody and all the monastic brothers must chant it in unison. Chant could be a powerful uniting factor within the brotherhood – if the brothers allowed it to be so. I remember, once, I got into a terrible argument with Brother Simon. We were in the bell tower right before prayer. We had been ringing the bells, summoning our other brother monks to come to the church to pray. It was our evening prayer service then, Vespers, at 5:30pm. I had said something terrible to him and he yelled back at me. I deserved it, and worse, although I didn’t think so at the time. Yet the bells kept on ringing. As their clangor resounded across the acres of forest and solitude and silence that encompassed the monastery, my brother monks were lining up in the cloister. They were standing in two rows. Then they walked from the abbey to the church along the sidewalk. Together they entered through a side door, together they walked along the side of the church, together they came around to the back and dipped their fingers in the baptismal font, and together they blessed themselves. The only sound was the shuffling of their shoes that echoed as though in a cave. And all the while, Brother Simon and I were stewing in the bell tower because of our argument. But when it was time, we silenced the bells and we joined our brothers. Together we entered the monastic choir stalls, together we opened our books, and together we chanted our invocation to prayer. Yes we stood side by side. I was angry then that Brother Simon was beside me. Perhaps he felt the same. Our place in choir was out of our hands. Brother Simon had entered the monastery a few weeks ahead of me, so he was technically my elder brother. By monastic rules, I had no other choice: I had to stand beside him in choir. “Why must I stand beside someone I loathe instead of love?” I asked myself. “Why couldn’t I be placed beside Brother Cyril?” Brother Cyril was also Brother Simon’s junior by a two weeks but he was my elder by a week, right in between Brother Simon and me. But that would not happen because the monastic choir director, Father Adam, set Brother Cyril on the other side of the church, in Choir One, while setting Brother Simon and me in Choir Two. I thought that being beside Brother Cyril would have been better. I didn’t realize that that would have been an easy solution to a hard problem. And the problem wasn’t my argument with my brother. Rather it was the mountain of my pride – my need to be right. So Brother Simon and I were stuck together, even though we had gotten into a terrible fight and did not like one another right then. Even our presence seemed to irritate one another. I remember I used to feel that way when I was nine years old, about one of my siblings, my brother or one of my sisters. And here I was again, now in my mid-20s feeling as helplessly angry as I had in my childhood. But the purpose of monastic chant only works if the monks know how to sing together. As I wrote earlier, monastic chant is meant to be sung in unison. All the brothers must sing together, on the same note, in the same rhythm. Without unison, there is only disunity and discord. So my brother monks and I started to chant the first psalm. “Out of the depths I cry to you, O Lord; Lord, hear my voice.” Boy, was I in the depths of my own solipsistic whimsy at that moment – which wasn’t deep at all but incredibly shallow. My problem wasn’t that Brother Simon had bothered me, or that I had bothered him. Rather, I needed to be taken out of my own depths, which wasn’t all that deep – I needed to be yanked from the war raging in the shallow end of my ego. And our chant – the prayer of our brotherhood – had begun to do that. You see: to remain chanting in unison, I had to listen to the brother beside me – I had to hear his note, I had to hear his rhythm, and I had to match both and remain with his chanting. So in doing that, I also heard Brother Simon chanting: “Out of the depths I cry to you, O Lord; Lord, hear my voice.” Hearing this gave the words of the psalm an entirely new meaning. Now it wasn’t merely me calling out to God from the depths of a difficult place; but my brother was doing the same. Nevertheless, the interior war of my ego – my desire to be right – would try to dismiss the fact that my brother was feeling exactly the way I felt. The monks finished chanting the psalm and we moved on to the next. With my brother monks I chanted, “God listens to the prayers of the humble of heart.” Yes, I chanted this but so did Brother Simon. He and I were chanting in unison, yet I did not feel united with him: I felt better than him while I was working out in my mind how I could win our argument. I wasn’t being humble, even though I was chanting to God about true humility in prayer. It was right then that I began to change. And I don’t believe that I was changing myself, but that I was being changed from the inside out. As Brother Simon and I chanted in unison, I began to see that the humility of our brotherhood was in the harmony of our togetherness. 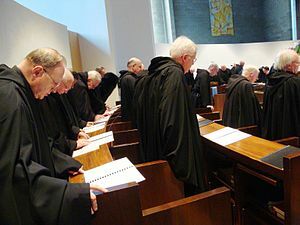 The profundity of monastic chant is that its unison is absolutely nothing without harmony – the harmony of friendship, the harmony of brotherliness, the harmony of children of God struggling to be better men. We chanted psalm after psalm, and canticle after canticle. We stood beside one another, we sat beside one another, we listened together to the Scriptures being read, and we prayed together to God – which is the principle purpose of being in a religion. It’s not about being right in an argument. It’s about trusting together that no human eye can see, no human ear can hear, and no human heart can know what God has ready for those who love in sincerity of heart – love God and love one another. For me, the monastic choir stalls were a glimpse of what heaven might be like: It might not simply be eternal mercy and justice and peace: It might also be me standing beside a brother I’ve so often failed to love. One of my favorite jobs in the monastery was ringing the church bells. The prior assigned that work to junior monks like me. Each of us took turns ringing the bells one week a month. There were six bells. Each had a name. Raphael, Blaze, Laurence, Gabriel, Sixtus, and Angelo. Each bell had a long rope that stretched from the bell tower all the way down to the church, into the ambulatory – the hidden walkway that reaches around the back of the church, behind the main altar. The ropes were worn from years of use. We rang the bells almost every day for prayer. The bells were a way of communicating. We had sacred silence in the monastery. Ringing the bells told us when prayer began. Tolling the bells told us how prayer was ending. For ringing, I simply continued pulling on the rope to keep the bell swinging with momentum. Tolling means I could only let the bell ring once. It was a controlled clang. We had four kinds of days of prayer. Each kind of day required a different way to ring the bells. Most days were ordinary. We rang and tolled Gabriel then. He was the middle bell. We never heard him at the first prayer service, Matins, just before 5 am. That was still a time of silence. Gabriel was first rung with the sunrise, at 6am, for our Laudes service. His note could be heard for about half a mile, all the way down to the Carmelite convent, where gentle sisters were also gathering together for their own morning prayer service. We run Gabriel before mass, before Vespers (evening prayer), and before Compline (night prayer). He was also tolled for our Angelus Prayer, which began after Laudes and Vespers. That was a prayer remembering how the angel Gabriel spoke with Mary, the mother of God. Tolling Gabriel for the Angelus Prayer was tricky. He had to be tolled three times, then three more times, and then three last times. And then he was rung for a full minute. Tolling bells was difficult for me at first. Each bell had its own personality, and this was especially true for tolling. For the lightest bell, Angelo, you could pull his rope down once, and hold it so that one note tolled out. But you could not do that with Gabriel. He was too heavy. I had to pull his rope down just enough so that the hammer in the bell was about to strike a note, and then I’d release him, so that his bell tolled on the upswing. But then I had to quickly grab the rope again, to stop the bell from swinging back, preventing any further notes from knelling. Tolling was an important aspect of monastic work. Another kind of prayer day was memorials. That’s when we remembered an important event in the church’s history, such as the death of John the Baptist. On those days we’d ring two bells. And after Laudes and Vespers, we’d toll just Gabriel again. Fewer than ordinary days and memorial days were feasts. But they were more celebratory. Those were days when we remembered important events that shaped our relationship with God, such as Jesus being baptized by John the Baptist. On those days I’d ring three bells. This meant that I would have to get another monk to help me. Sometimes I couldn’t find another brother. Trying to ring three bells at once was challenging, but it was possible, albeit awkward. I’d have to pull the rope of the two lighter bells in one hand while pulling the rope of the heavier bell in the other. Fewest of the four prayer days were solemnities. They were the most important celebrations of our year. On those days, we remembered events that we believed changed the course of human history, such as Christmas and Easter. On those days, all six bells were rung. I had to get five other brothers to help me, and sometimes we had to make do with only four. Each kind of day – ordinary, memorial, festal, and solemn – had a special sequence for the ringing of the bells. Most days I’d ring Gabriel for a minute or so, while the monks walked in statio from the cloister to the church. I’d ring until they processed through the church and took their place in choir. On festal days I’d ring the bells in a particular sequence for about five minutes. The sequence began with all three bells ringing for a minute. Then each bell was rung alone for a minute. Next two bells were rung together for the last minute. Finally all the bells were rung together. Solemn days were wonderful! For mass, all six bells had to be rung for 15 minutes. This sequence began with all six bells ringing together for five minutes. Then each bell had a turn alone for a minute. Some bells were coupled together for a few minutes. At last, when the celebration was about to begin, all the bells had to be rung together. The noise was grand, especially on the Easter Vigil, which began at 10pm and finished at 2am. Before then, we had 40 days of Lent. We didn’t ring bells during that time because bells were considered celebratory instruments, and for us Lent was supposed to have greater gravitas. Instead of ringing bells we had what we called a “clacker.” It was a wooden instrument with a handle that had to be cranked around, like an organ grinder. Yes, it made a *clacking* noise. It was penitentially loud. We were glad when Lent finished for many reasons, Easter being principal, of course, but also because we put the clacker aside. At the Easter Vigil, all six bells were rung for the first time after 40 days. It was a welcomed sound. We were celebrating the fact that we weren’t afraid of death any more because we believed that Jesus defeated it by rising from his tomb. All six bells announced our joy. The bell ringing commenced two hours after the service began, right at the stroke of midnight. We rang all six bells for almost ten minutes. The bells could be heard for miles around. Many families lived down the road from the abbey. I never heard of any neighbor complaining. Easter was beautiful because we celebrated life from death. But funerals were equally important. Only one bell could be heard at our requiems, Raphael, the largest. We seldom rang him. He was seldom heard. Most often we rang him with his five brothers, such as during Easter. He was so heavy that, if you held on to his rope, he would pull you up into the air, which was often the case when it was time for the bells to silence. I had to put all my weight into stopping his momentum. He could lift me five feet up. But Raphael was never rung for the monk’s requiem: He was tolled. Tolling him was the most challenging task. But I believe it was also the most important. Like Gabriel, I had to pull Raphael down to the point where he was about to make a sound, and then I let go of his rope, so that the bell tolled on the up swing. You see: Only one other noise preceded Raphael’s tolling: It was the noise of a hammer nailing the deceased brother into his coffin. Our coffins were simply wooden boxes. The lower half of the brother was always nailed up. The upper half was exposed for the rest of us to view. Once our requiem ended, the upper half was nailed closed. The hammer striking the head of the nail was the only sound in the church. Some brothers couldn’t stand that noise. It sent them running from the church in tears. So tolling Raphael the right way was important. It was the last celebratory noise we’d make for that deceased brother. It was the last send off. It told everyone within earshot: Here is a brother who meant something to us. Here is a brother who did his best. Here is a brother we loved and served and helped grow closer to God. Here is a brother who acted as a channel of God’s love for us. 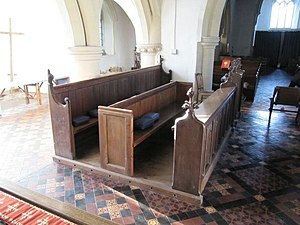 Several brother monks would carry his coffin from our church to our churchyard, where a grave had already been dug. For Brother Gabriel’s funeral, I worked hard to toll Raphael just right. It was my way to say goodbye, and ask forgiveness for the times I failed him. I am continually humbled that some of you are interested in my monastic life. Some have asked that I continue with my story. I still feel awkward doing this (forgive me), but I will give it a go. I left off talking about adjusting to the Gregorian chant. Monastic life was a mystical adjustment altogether. Daily life was similar to a normal monk in solemn vows. We all worked together. We all prayed together. In the beginning the work I did was mostly cleaning: Kitchen, bathrooms, church, and abbey. Sweeping, mopping, polishing, the usual sprucing. delivering it to soup kitchens. In the summer we awoke at 2 am to bake bread. We finished by noon, before the Louisiana heat struck. We baked over 800 loafs a day. Fr. 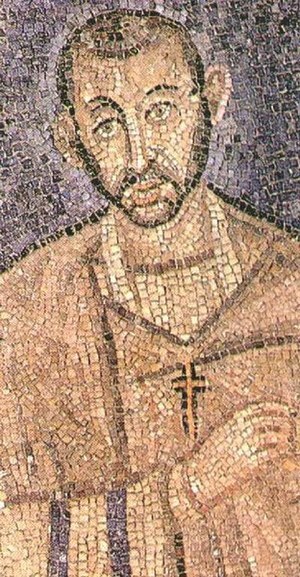 Augustine was chief baker. He taught me how to bake all kinds of delicious breads. Sometimes he and I would bake pizza for the monks for lunch, a kind treat for them. One night a week was special. The monastery had an infirmary, where sick and dying monks ended up. One night a week, I would keep watch over the infirmary, staying up all night, being attentive to the needs of the infirmed. An old priest was there, Fr. Daniel. He was so gentle, especially toward the end, when he passed away the night before I became a monk. I spent the year of my novitiate trying to make him comfortable. But he didn’t need much. His prayer life had given him faith that he would be in eternal rest. All our work was not beyond the scope of our prayer life. Everything we did – be it cleaning, baking bread, or watching the infirmary – had to be done with a prayerful spirit. We tried to depend on God’s help for everything, especially the work of our hands. But not all prayer revolved around work. We also had community prayer. All the monks would gather into the church five times a day for five routine prayers: Matins, Lauds, Mass, Vespers, and Compline. Matins is a predawn prayer (5am). Lauds is Morning Prayer (6am). Mass was at noon. Vespers is evening prayer (5pm). Compline is night prayer, right before bed (7pm). During community prayer, the monks divided into two groups: Choir One and Choir Two. Choir one was on the left side of the church; Choir Two on the right; both groups facing one another. Then the two choirs of monks would take turns chanting the psalms and other biblical texts, each choir chanting a stanza. We chanted all 150 psalms in a month’s time – like the early monks from the 5th century. Our day began with prayer. Our day ended with prayer. Chanting biblical words bookended our daily work. Work and prayer. It was a life of labor and love. It was a life of simplicity. Some here have asked about my life before meeting Anne Rice, namely from what I’ve shared previously — that I was a monk. In 1997 I moved to New Orleans. I had been a fan of Anne’s for years, having read her books in high school. I remember the first time I walked down St. Charles Ave., with the streetcar passing by, the old double gallery houses, and the branches of the large oak trees canopying over the Garden District. My first thought was: Lestat hurtled down this road on a motorcycle, listening to Bach’s Art of Fugue through a Walkman. I was agog at the magic of that ancient and beautiful city. New Orleans’ spiritual heritage encouraged my eagerness to grow closer to God. I entered a little monastery not too far outside the city, across Lake Pontchartrain, on the North Shore — St. Joseph Abbey, a house of the Benedictine order (an old order dating back to the 5th century). St. Joseph Abbey is about 100 years old. But, for 1500 years, the Benedictine Order has lived by two fundamental rules: Work and prayer. That’s all I really wanted. I sought to work, to pray, and to use both as tools for deepening my relationship with a power greater than myself. If you’re interested in the daily routine of my monastic life, I can explain it in days to come. I fear this is getting too long. Let me leave with this: I met Anne shortly after I became a Benedictine monk. When she began writing Christ the Lord, Out of Egypt, she emailed me with a question. A delightful email correspondence began shortly thereafter. In 2005 when I left the monastery, Anne offered me a job on her staff. An amazing 8 years later, here we are……….